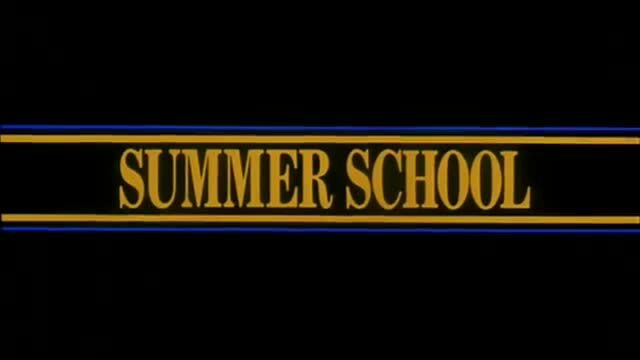 At one point Summer School was a cable staple, but I first saw it as a lad probably in ’88 or ’89 during a Showtime free preview weekend on cable. 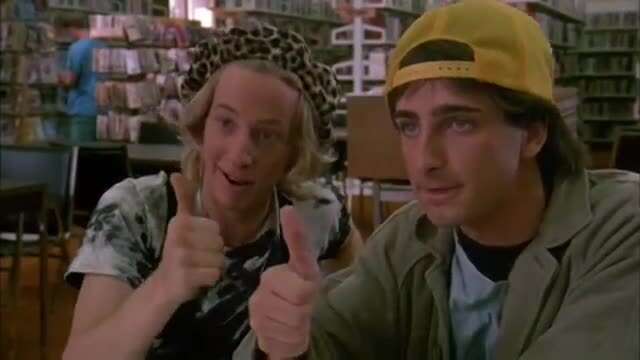 You see, we had HBO and Cinemax, but not Showtime, which meant there was a huge chunk of films that we didn’t have the pleasure of watching a billion times. Summer School was one of those, but it was also popular enough it was used to entice people to sign up for Showtime, which we never did, but we did watch their free films. After that, I managed to miss it the hundreds of other times it played on the TBS/TNT/USA channels, until 27 years later when it was screened in an theater again. Summer School was actually part of a Dean Cameron triple-feature that also saw Ski School and Rockula played at a Midnites for Maniacs event at the San Francisco New Mission Theater. Not only was there three Dean Cameron movies playing, but Dean Cameron himself was there to regale us with a few tales of his career and filming these pictures. Summer School is both an artifact of the time and a harbinger of the future where school testing has become controversial. The kids here being unmotivated high school students who failed a required basic skills test they need to graduate and their teacher. 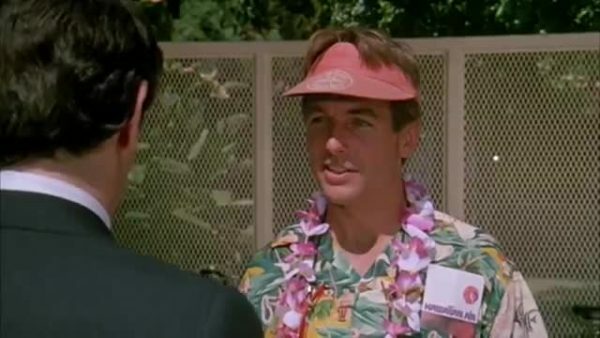 Freddy Shoop is the gym teacher more interested in having fun and summer vacation than teaching, but he’s roped into the summer school gig because he’s up for tenure. His girlfriend goes off to Hawaii without him, and Mr. Shoop now has a room full of rambunctious kids and no desire to be a responsible adult. It’s fun seeing Marc Harmon as the beach bum teacher when he’s now best known for headlining NCIS for a bajillion years, especially since he fills the fun-having teacher role so easily. 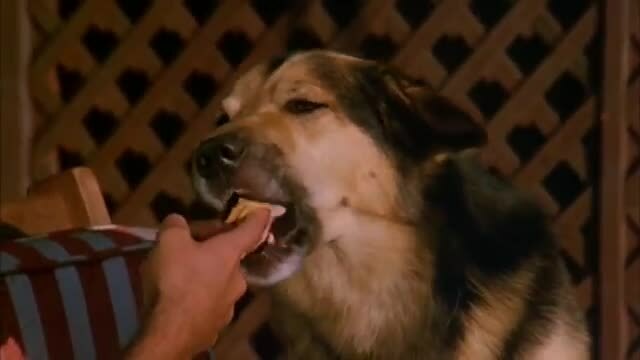 No good 80s film is without a stuffed shirt villain, and the vice-principal Phil Gills (Robin Thomas) fills that role nicely, being a constant thorn in Shoop’s side while also dating his love interest, Robin (Kirstie Alley). He is satisfyingly slimy and provides a great foil for the hero and students while putting in a good, cheesy performance that only rarely slips into cartoonish territory.